The first of the Godzilla movies, and the most somber and serious in tone, Gojiro was originally a 98-minute Japanese horror film, until a U.S. company bought the rights and reissued the film at 79 minutes, replacing sequences involving a Japanese reporter with new inserts of a dour, pipe-smoking Raymond Burr. Both versions appear together for the first time in this release from Sony Wonder. Godzilla is back, and this time he’s not alone! Godzilla and the spiny monster Anguirus are in a heated battle on a small Japanese island. As the threat of destruction mounts, two Japanese heroes muster their courage for the final showdown with Godzilla. After a fierce typhoon, Mothra’s gigantic egg washes ashore Japan. Meanwhile Godzilla reawakens and tramples across the land, heading straight for the big egg. Can Mothra save her offspring from Godzilla? Will Japan survive this epic monster battle? Evil spacemen from the Black Hole are plotting to flatten Tokyo and build their own utopian city. 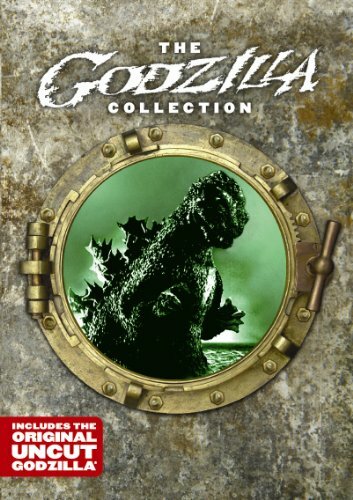 Aided by deranged scientist Dr. Mafune, the aliens unleash a rebuilt Mechagodzilla and the monster Titanosaurus to do their evil bidding, until Godzilla surfaces to defend his homeland and the earth-shattering destruction begins.